Why Gutter Guard ? Do they Keep gutters leaf free? These are a couple of the questions people ask when considering the purchase gutter protection for their homes. This page will attempt to help answer these questions. Gutter Guards were designed to help reduce the need for cleaning out your gutters. Cleaning gutters takes quite a bit of energy and equipment. It’s a dirty job and it can be dangerous especially if you’re not used to being on ladders. Equipment: First of all you need an extension ladder approximately 12 feet long for a one story and 24 feet long for a two story. These ladders can cost hundreds of dollars and are heavy to move around. Energy: Moving ladders is a lot harder than it looks. An average house will require you to go up the ladder forty times and down the ladder forty times. At an average of 15 min per time it can take an inexperienced gutter cleaner the entire day and unless you’re in really good shape you will be sore for several days. 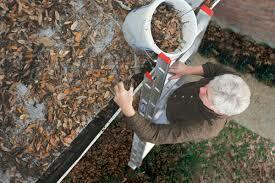 Dirty Job: Gutters accumulate a variety of leafs and whatever else fly’s through the air. It all coagulates with rain water and acts as a sponge. Over time this turns into muck and starts to have a really four odor. It might make good compost but it sure makes for an unpleasant smell and it really can ruin your cloths. Dangerous: Cleaning gutters can be flat out dangerous. People have fallen off ladders, ladders have slipped on the slippery surface of gutters when leaning to get debris and people have been electrocuted by carrying ladders and not seeing power lines. Cleaning gutters from the roof is most dangerous of all especially if the pitch of your house is steep. Leaning over to get the leaves out of the gutters leaves a person very susceptible to an accidental fall from being off balance. Does Gutter Guard keep gutters leaf free? 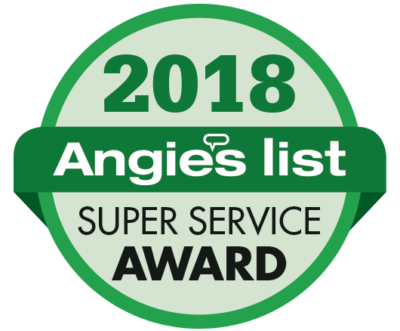 The general consensus for Gutter Guard is that it reduces the number of times the homeowner has to get up on the roof or hire someone to do it for them. If this is a worthwhile objective for you then you may want to consider Gutter Guard. 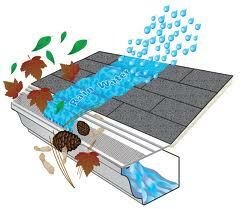 Do not think that they are designed to keep gutters completely leaf free. It’s fair to say that if you use the right Gutter Guard installed properly you can keep your downspouts clog free. Gutter Guard is designed to keep leaves from getting into the gutters. The Gutter Guard lays on top of the gutters and therefore leaves lay on top of the Gutter Guard. Dry leaves will generally blow off with winds as low as 5 mph. Wet leaves need a more stiff wind of about 15 mph. But if the right conditions cause a buildup of leaves that don’t blow off the will need to be brushed off. If you decide you want a price, we make it easy. 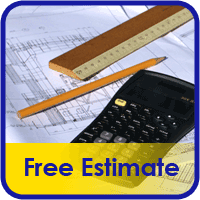 Just click on the free estimate button and fill out the information or call Mike at 614-254-4349.